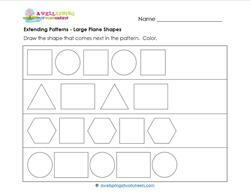 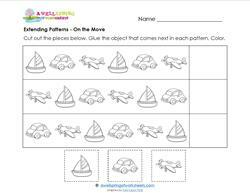 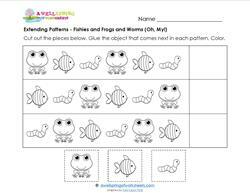 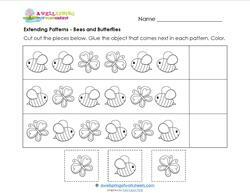 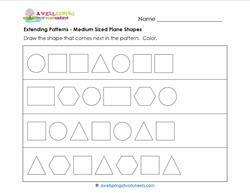 While recognizing patterns is no longer a required standard with the Common Core, it is included on this site for several reasons. 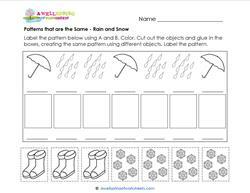 One, patterns are part of our environment and our daily lives. 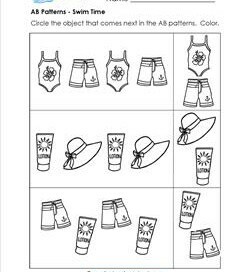 Whether you call it a routine, a rhythm, or a pattern, the sun comes up every day and it goes down every day. 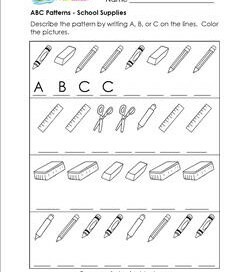 We all get up, get dressed, and go to work or school. 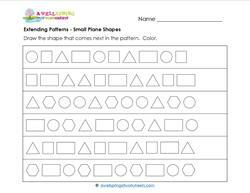 Secondly, discovering a pattern is fun! 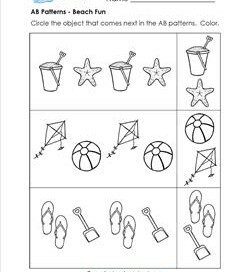 Kids I’ve observed always seem to enjoy counting out objects and guessing which one comes next. 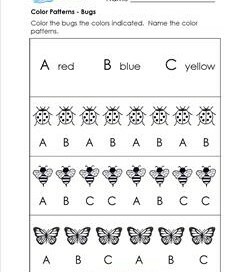 Lastly, it’s another simple way to instill confidence in kids. 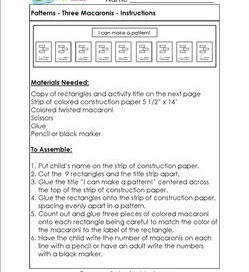 Please go to this page to choose from more math worksheets. 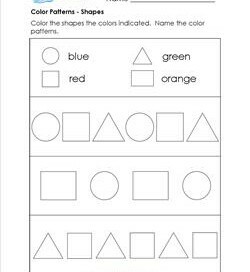 Get out the crayons to color these shapes different color patterns. 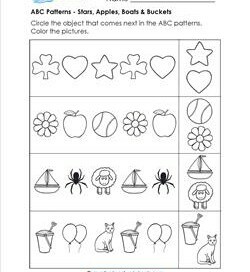 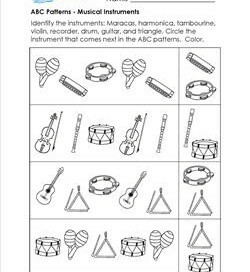 Patterns are ABC, AABB, and ABCD. 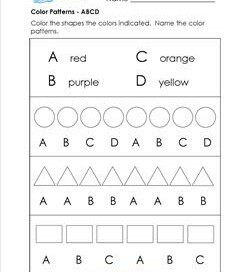 Name the color patterns: “Red, red, purple, purple”, etc.